Don’t let post workout muscle soreness get in the way of your fitness goals. Use this DIY sore muscle soak to prevent and relieve sore muscles after hitting the gym. Three months ago I started lifting weights for the first time in my life. Prior to this my workouts consisted of running outdoors, which is just about the only form of cardio I can stand. I’ve completed a couple of 5Ks, but never got into weightlifting for fitness until recently. While I love the way I feel and look after three months of this this new regimen, I’m not crazy about having sore muscles the next day, even if it is a sign that I’m getting stronger. 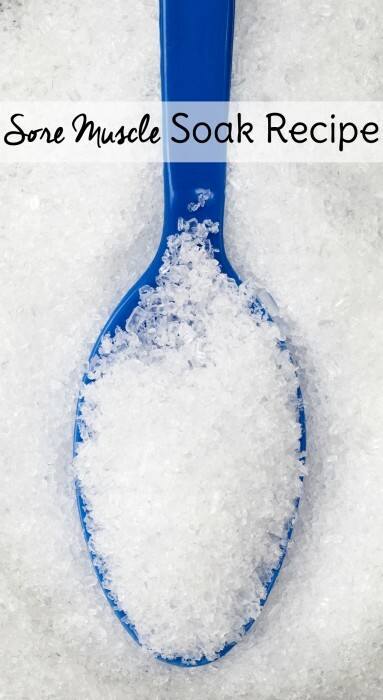 Sprinkle Epsom salts onto bottom of bathtub. Add 10 drops Aroma Siez Essential Oil blend to the Epsom salts and mix together with your hand before adding bath water to the tub. If you just add the drops straight to your bath water without mixing it first, the essential oils will just float on top of the water. The Epsom salts kind of harness the essential oil and help them spread throughout the bath water. 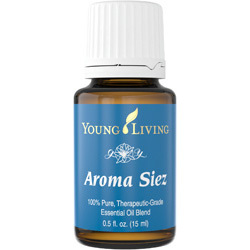 Aroma Siez™ is a relaxing blend that is excellent for massaging away life’s little discomforts. Well suited for use after exercise or at the end of a trying day, it also provides soothing comfort for the head, neck, and tired feet. Contains basil (Ocimum basilicum), marjoram (Origanum majorana), lavender (Lavandula angustifolia), peppermint (Mentha piperita), and cypress (Cupresses sempervirens). If I work out in the morning, I usually bath in this sore muscle soak that evening before bed and wake up to much less discomfort than I normally would. Have you been thinking about discovering Young Living Essential Oils for yourself? There’s no better time to get started! Sign up as a wholesale member with a premium starter kit (you don’t have to sell anything or sign your life away. Pinky promise!) this month and receive bonus gifts from me. Add this sore muscle remedy recipe to a Mason jar and it makes a great gift for the running or fitness enthusiast in your life. 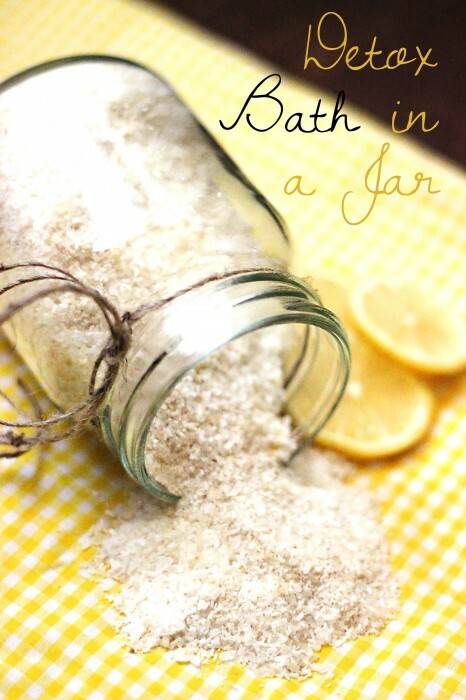 You might also like my detox bath in a jar recipe. Happy oiling!